*All books are subject to availability from the publisher. See & learn about butterflies, frogs, fish, chickens, deer, & lions as you pull the tab and watch as the baby animal turns into an adult. Ages 4-7. 10 pgs. 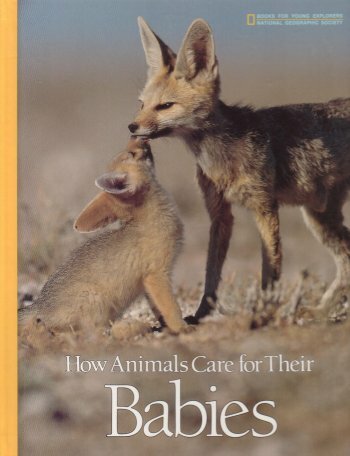 Pocket-size book with color photographs & information on a variety of baby animals. 61 pgs. Ages 4-8. This book is not only a superb collection of color photos of the most appealing baby animals, it is also a fascinating and authoritative account of the family life and biology of the very many different kinds of animals that are so delightfully portrayed. Ages 12 & up. 64 pgs. Richly detailed illustrations & simple informative text explain each animal. 32 pgs. Ages 4-7. Photos, illustrations & information about critters commonly found in the forests and mountains of the western United States, including the golden-mantled squirrel, tassel-eared squirrel, gray jay, and Clark's nutcracker. 24 pgs. Ages 10 & up. Illustrations & information on creatures that move at night including bats, rats, insects, snails, salamders, shrews, skunks, raccoons, mice. B/W illustrations. Ages 10 & up. 77 pgs. An exciting photo-filled looked at bats, snakes, spiders, and lizards. Meet true and false vampire bats, see a spitting spider nab its dinner, and much more. 109 pgs. Ages 7-12. Examines 24 dangerous mammals found around the world, from the African elephant to the wolf. Includes information about the animal, decriptions, range maps, types of injuries it can cause, & prevention measures to avoid injuries. Color illustrations of each animal. 120 pgs. Ages 9-12. 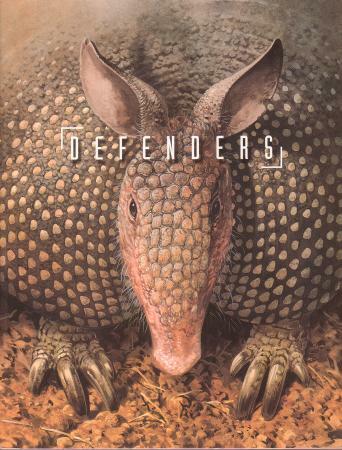 This book is about defenders, & how they hold on to whatever they value - homes, mates, offspring, & lives. 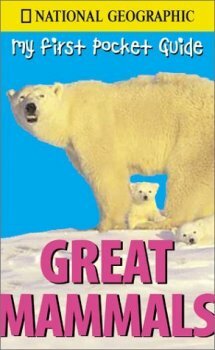 It is a dramtic introduction for young readers into the lives of creatures great 7 small, with in-you-face artwork that captures nature's most spectacular moments or reveals the hidden phenomena only seen by expert naturalists. Covers animals such as: ringed plover, armadillo, porcupine fish, rhino, octopus, giant horntail sawfly, desert tortoise, termites, musk oxen, clown fish, hermit crab, western tanager, albatross, skunk, porcupine, & more. Spectacular full-page color illustrations of each animal. Ages 6-10. 48 pgs. A delightful way for children to investigate deserts, including: a salt train across the Sahara, tiny tadpoles surviving, a mine for opals in Australia, and a zoom around the dunes in a dune buggy. With fun and easy projects! 48 Colorful pgs. Ages 4-8. Maps, illustrations, and text present animals in their natural habitats and relate important aspects of the world's major animals to their homes. Color photos & illustrations. 64 pgs. Ages 9-12. Does the leopard live in Africa and the jaguar in South America, or is it the other way around? How do you tell them apart, anyway? This book explores some of the lookalikes found in the animal kingdom, and explains the apparent similarities and the all-important differences. Example: Reindeer vs. Moose. Full-color illustrations. Ages 6-10. 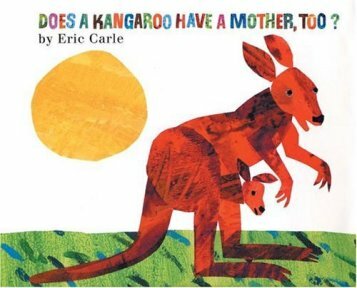 From baby kangaroos to baby elephants to baby monkeys, every kind of animal has a mother. Fully illustrated. 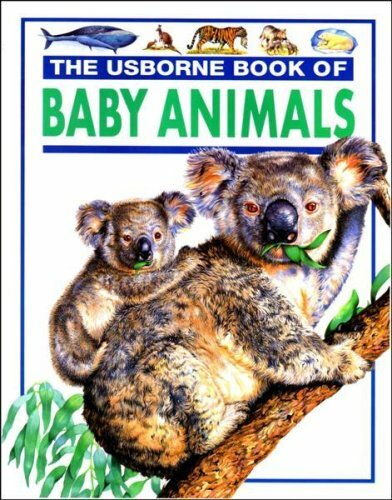 Complete with names of animal babies, parents, and groups that are shown in the book. 24 pgs. Ages 3-6. Did you know that: a chimp shows fear or excitment by pulling back its lips & showing its gums & teeth? ; three species of cobras spit poison at an attacker's eyes? or to show it eants to play a dog lowers the back part of its body while keeping the back part up in the air?, and many more fascinating facts about different animals and how they respond to their surroundings. Ages 8-12. 48 pgs. 5 book set: Baby Animals In Color; Kittens In Color; Cats In Color; Horses In Color; Dogs In Color. Each book is 64 pgs and filled with color photos. 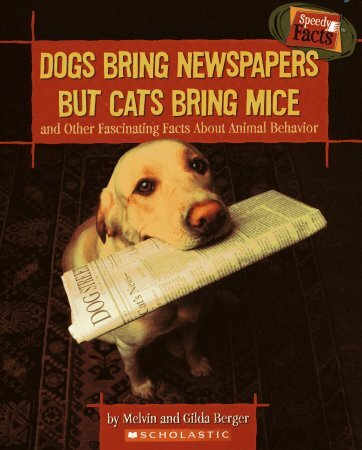 It gives information about that animal, different breeds, their babies, and how to care for that type of animal. Ages 14 & up. Join the adventure of a lifetime as you explore the Amazon Rain Forest. Follow the trail of the jungle's most magnificent creatures and then assemble your own animals for a museum-ready display! Includes 51 pieces to assemble 8 rain forest animals (jaguar, scarlet macaw, squirrel monkey, tapir, dwarf caiman, amazon river dolphin, coati, & vampire bat), and a removable diorama. Full-color pages. Color photos & illustrations. 36 pgs. Ages 8 & up. What is a mammal, how mammals, travel, how they find food, how they eat, what they drink, how they sleep, escaping enemies, in winter, how mammals talk to each other, how they grow, family life, babies. Color illustrations. Ages 10 - 14. 62 pgs. This fascinating book of nature illustrations has been printed with non-toxic ink which will glow in the dark. Turn off the light & you will see an "x-ray" of a human skeleton & the skeletons of 14 other animals. (Chimp, monkey, elephant, bald eagle, ostrich, whale, bat, kangaroo, salmon, turtle, cat. cheetah, cobra & giraffe). 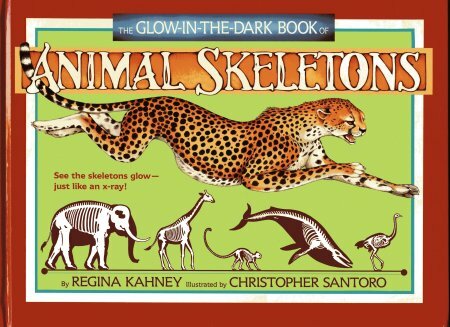 See how the shape of an animal's skeleton determines how that animal moves, eats, hunts, & raises its young. Ages 10 & up. How to find and care for animals of the wood, field & stream. Chapters on: finding your pets, caring for your pets, bird feeding stations, how to build a cage, a back yard zoo, how to build an ant house, setting up an aquarium, making a terrarium, animals for zoos only, helath and first aid, pets from other lands, shopping for pets, and books to read. Animals covered: skunk, armadillo, flying squirrel, rabbit, prairie dog, racoon, filed mice, bats, opossum, crow, hawks, owls, snakes, turtles, frogs, toads, lizards, salamaders and insects. Color photos. 68 pgs. Ages 10-16. All about the birds & reptiles, fishes & insects, mammals, amphibians, plants & trees, flowers & fruit that have inhabited the world as well as the minerals, fluids and gases of the earth itself and the suns, stars & planets that surrond it. Color illustrations. Ages 14 & up. 216 pgs. Superb illustrations, both realistic and diagrammatic. Covers conservation issues also. Ages 8-12. 32 pgs. What is the tallest land mammal? The heaviest sea creature? Which soaring bat is as large as an eagle? Children examine 35 massive mammals up close--giant land and sea creatures that live in various habitats all over the world. 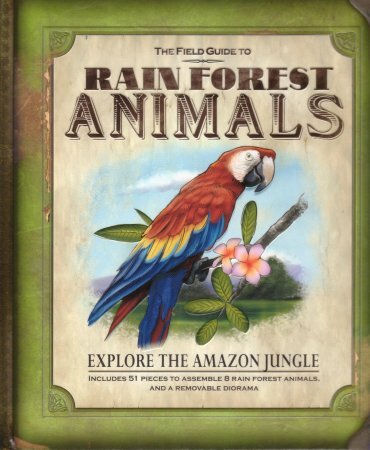 About half of the animals are currently endangered, so this guide provides a rare opportunity for boys and girls to learn about these creatures in their natural environments. Color Photos & color illustrations. 80 pgs. Ages 6-10. Introduces the young reader to different parental behavior of a variety of animals, from monkeys & birds to goats & lions, and more. 34 pgs. Ages 6-9. Learn to recognize different footprints & identify what animals are around. Ages 4-8. 32 pgs.